PLANS ARE UNDERWAY to create a form of remembrance to Leitrim’s World War I dead, in an effort to “challenge assumptions” about them. A tender has been issued for the development of a form of remembrance to the men and women affected by the First World War. The tender was issued by Leitrim County Council on behalf of Leitrim County PEACE IV Partnership. The move follows a period of consultation with interested parties and “with due sensitivity as to location, security, [and] content”. It is envisioned that this project will include participants from republican groups, historical societies, Protestant church based groups and the Orange Order. In addition, many people who are not part of the abovementioned groups may also have an interest in being involved. According to the tender documents, during initial discussions there were “strongly differing opinions around the capital element of the project”. It was also noted that there was a lack of engagement at public workshops by the general public. Provide information and clarification on assumptions around: who from Leitrim went to the War and why they went. It was felt that this factual research had potential to surprise and challenge communities’ perceptions in a positive way. It was recommended that research would be carried out around the people of Leitrim affected by the First World War, and that a central digital resource around new research/material arising from this project would be created. A list of Leitrim people who died in World War 1 would also be published. There would be a series of community-based programmes that would be linked to the existing and new and historical research. It is envisioned that the ‘List of Dead’ and capital project would be launched in June. Closing date for receipt of tenders is Monday 17 December at 4pm. The Leitrim PEACE IV Partnership was established in 2016 as a sub-committee of the Local Community Development Committee and is led by Leitrim County Council. Earlier this month, the World War I memorial sculpture The Hauntings Soldier had red paint thrown over it in Stephen’s Green in Dublin. The paint was removed and a standing down ceremony was held for the statue earlier this week. 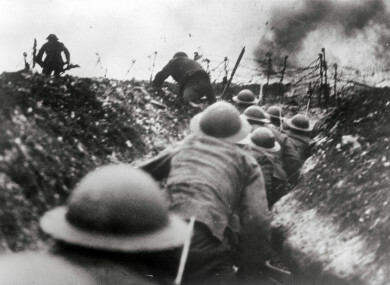 Email “Plan to remember Leitrim's WWI dead to 'challenge assumptions' about them”. Feedback on “Plan to remember Leitrim's WWI dead to 'challenge assumptions' about them”.